Our secure document and record storage services offer flexible and scalable solutions. We offer highly confidential, secure, tailored services to a wide range of companies, from small businesses to major commercial enterprises in the public and private sector. Our nationwide document storage services provide high levels of security and confidentiality. 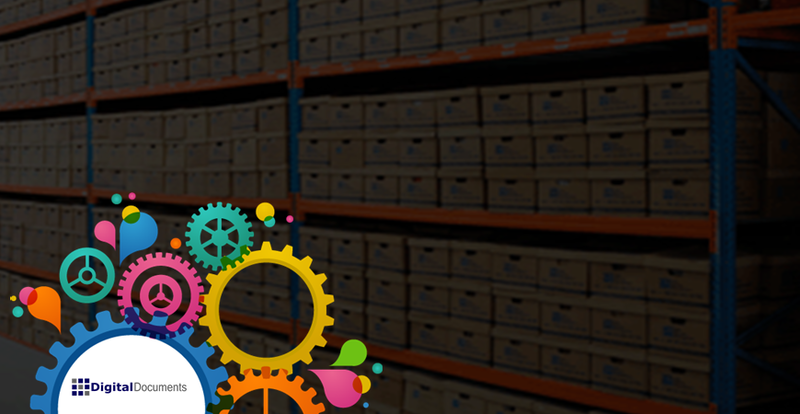 Our advanced barcode tracking system eliminates the risk of mislaid and inaccurate labeled files and boxes. Digital Documents online document management service will also allow you to trace, track and request files remotely and comprehensive audit tracking functionality supports full compliance with regulations such as GDPR. Digital Documents provide a range of hardcopy document storage solutions. Barcode Based Document Tracking System. Secure Online Delivery of Documents. Our scan on demand service enables businesses of all sizes and budgets to enjoy the benefits that document scanning can bring. We developed, our on-demand services to help organisations that don’t have the budget to scan all of their documents at once. This document scanning solution offers all of the benefits of going digital without the need to commit to one big bulk scanning project. We provide a 2 hour retrieval guarantee for our scan on demand service. When you need a file simply request it via our online portal and we retrieve it and deliver it to your desktop using our secure, encrypted online solution . It’s a flexible document storage and retrieval service and saves you time and money in searching and finding your important records. You can store your documents securely offsite in our purpose built document storage facility, freeing up your valuable office space. 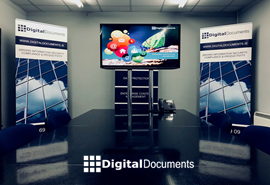 Digital Documents help organisations manage their records to ensure they are captured, managed, organised and retained in a highly secure and structured manner. As such we are able to catalogue client documentation, classifying and recording content. We have an in-house dedicated secure cataloguing team. This provides a cost effective option to ensure rapid and diligent information on your records is retained and ensures document lifecycles are managed to ensure compliance and often saving on-going storage costs. When your business needs to dispose of unwanted or end of life documentation, Digital Documents offers the perfect solution, with the option of off-site or on-site shredding across Ireland. Contact us today! Our team is always ready to help. Learn more about Digital Documents Document Storage Services. Digital Documents deliver intelligent information management solutions that reduce costs, streamline business processes, protect critical content over its entire lifecycle and meet compliance obligations. Seafield Business Park, Youghal, Co. Cork, Ireland.